Enjoy a round of Backgammon - one of the oldest board games in the world! Select your favorite design, difficulty and the number of rounds and play against the computer or your friends on the same device. Roll the dice and try to obstruct your opponent as much as possible. The first player to remove all their pieces from the board wins the game. Copy the link and paste it on your website. Welcome to our famobilicious HTML 5 cross-device game catalog. Here you can find more than 300 non-exclusive and exclusive licensed HTML5 games, reviewed, categorized and hand-picked for every taste. Feel free to browse through our games created by developers from all around the world. 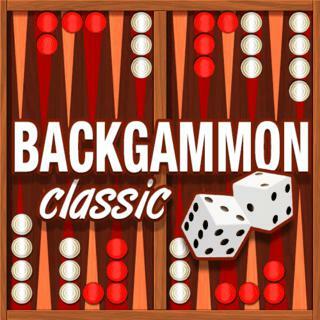 If you like Backgammon Classic games, you should check out the other games from our famobilicious game catalog. Do you need help? Why don't you check out our Help & Support category and see if your questions and problems can be solved.